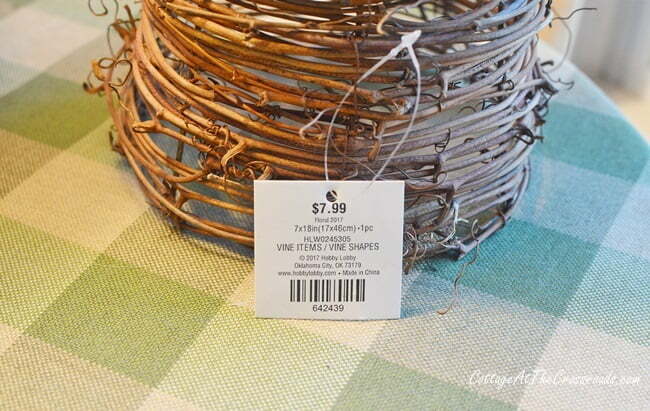 In this post, you’ll find the directions to make an early spring grapevine cone topiary. 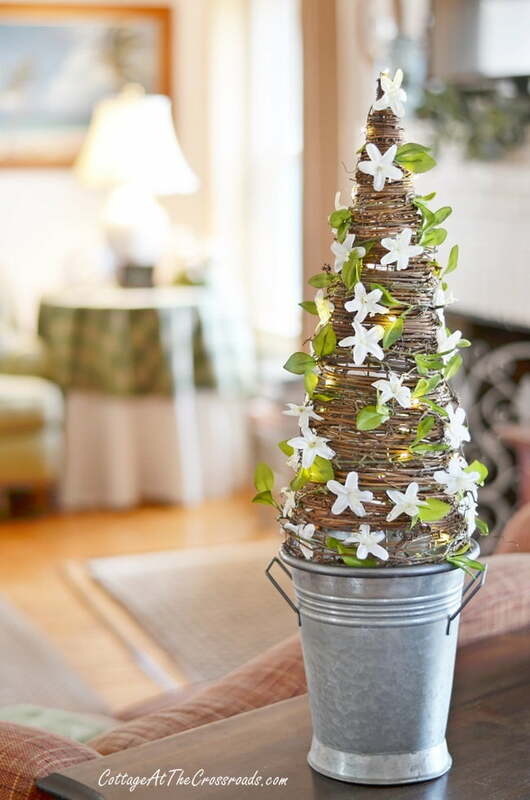 Perfect to transition your decor from winter into spring! Hi everyone! Today is February 10 and you know what that means, don’t you? 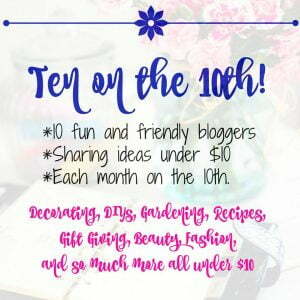 It’s time for Ten on the 10th where ten of us bloggers share some thrifty ideas that cost $10 or less. Our theme this month is SPRING! I don’t know about you but I’m really yearning for spring. It has been unusually cold here in South Carolina. In fact, I cannot remember a time when the temps have been so low for so long. As soon as Valentine’s Day is over, I will be springing up the place even though the weather may not be cooperating! 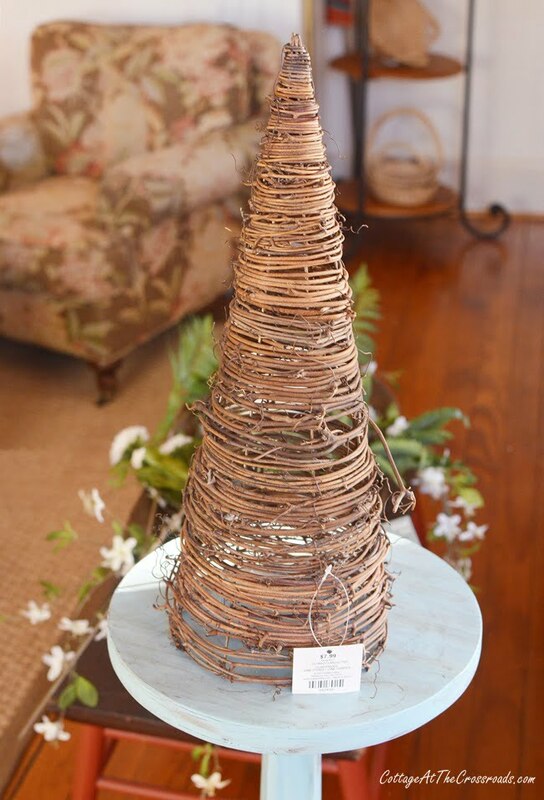 Today I’m sharing a very economical way to bring a little spring into your decor with this grapevine cone topiary. It’s part of a larger plan to freshen up our living area for the new season. I got my idea while perusing a very popular home decor catalog which was filled with faux spring florals. As soon as I saw one particular item, I hopped online and ordered it. 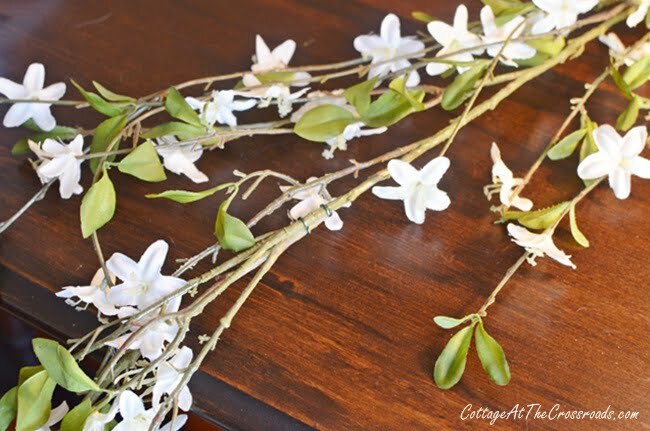 While on the website, I spotted a spring garland that I thought would be beautiful on our mantel. But I did NOT like the price especially since I knew I could make something similar for much less. And you know how one thing leads to another, right? I was thinking about other things I could make to coordinate with the garland! So I went on a little shopping trip to our local Hobby Lobby and purchased some spring florals. I just dumped them into my vintage dough bowl until I had time to work with them. I also purchased this grapevine cone. 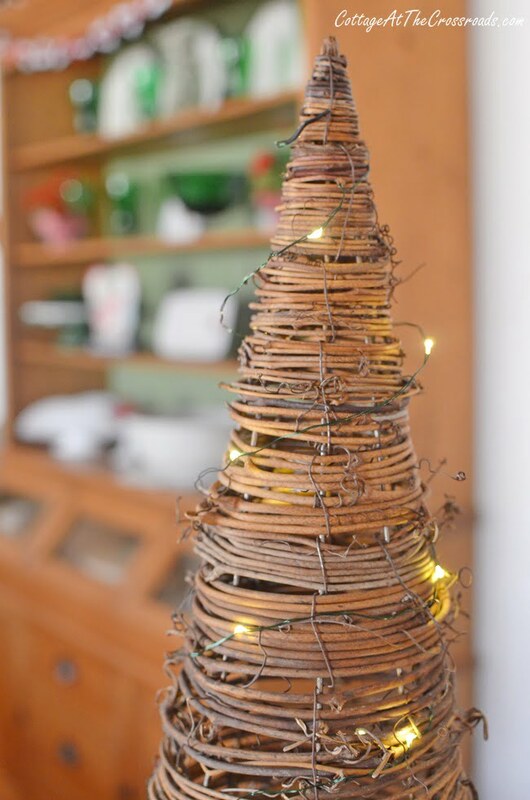 The first thing I did was to wrap the cone with a short strand of battery operated fairy lights. 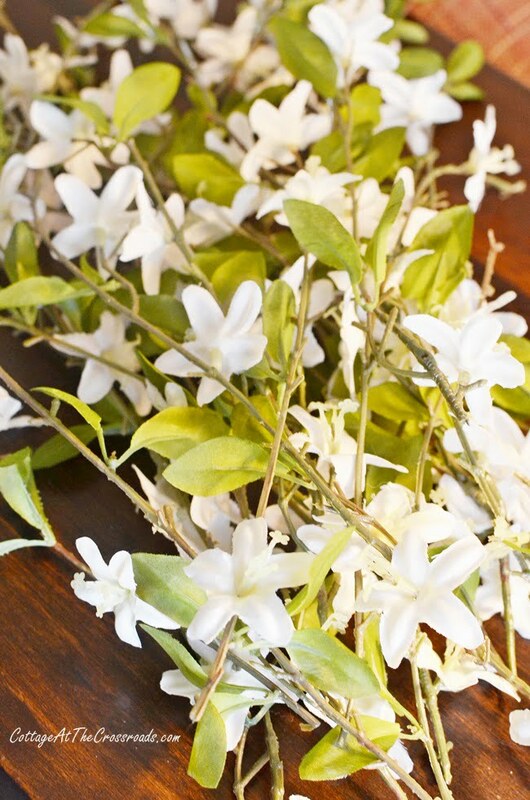 The inspirational garland that I had seen had white dogwood blossoms on it, but the closest thing I could find was this apple blossom faux spring garland at Hobby Lobby. 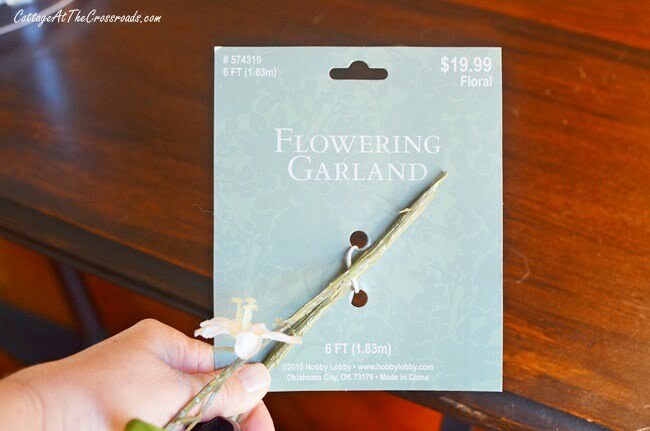 The garland costs $19. 99 but it is 50% off this week and I only used a part of it. I promptly cut off the floral branches! 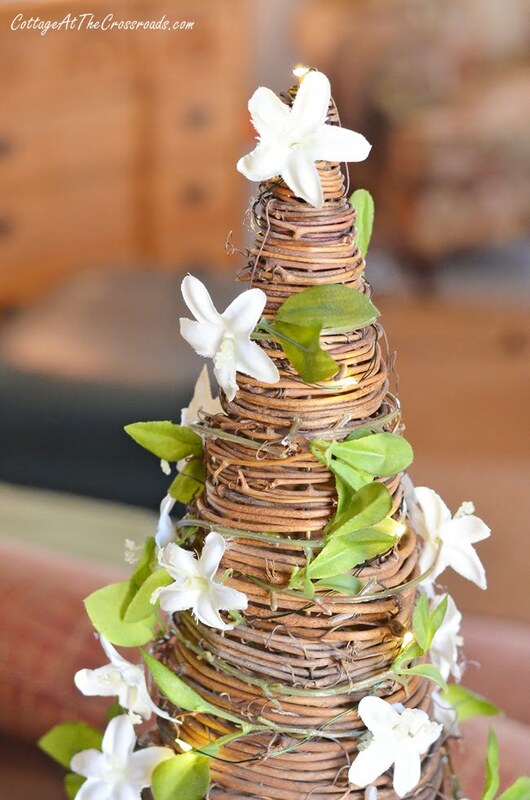 Until I had a stack of floral branches. Taking one branch, I started wrapping it around the base of the cone. 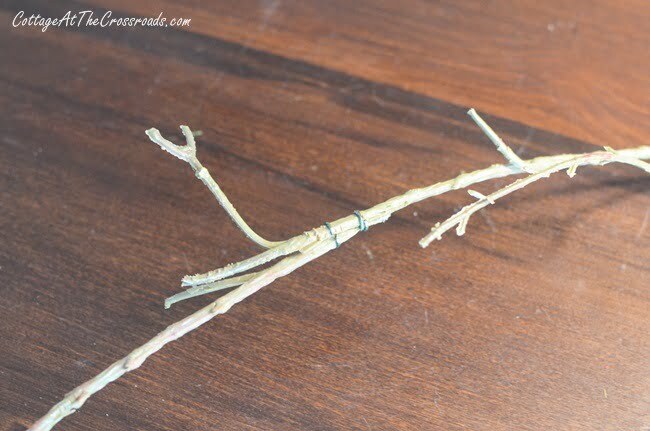 In most cases, I was able to tuck the end of each branch into the grapevine and then used a small amount of hot glue to secure the ends. Within 10 minutes, I had reached the top! I did hot glue a few flowers and leaves in a few places that looked a little bare. 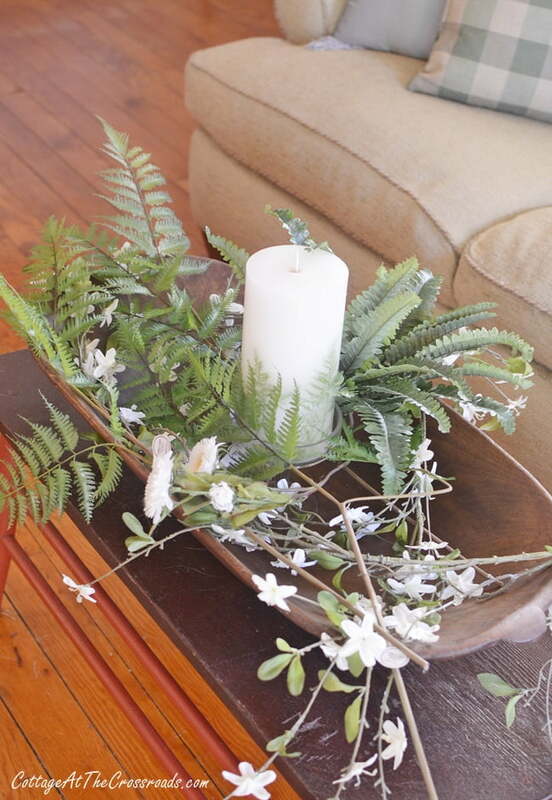 Such a quick and easy project to get your spring decorating underway! 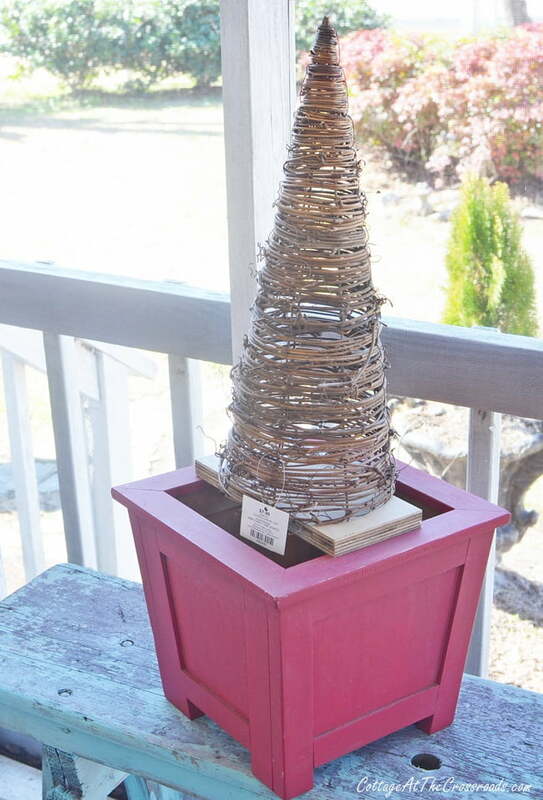 For the time being, I put my early spring grapevine cone topiary in a galvanized bucket that I already had. But I do plan to make a matching topiary and will paint my pair of wooden planters green. It’s all part of my spring decorating plan for our living area. I hope you enjoyed seeing my early spring grapevine cone topiary today. 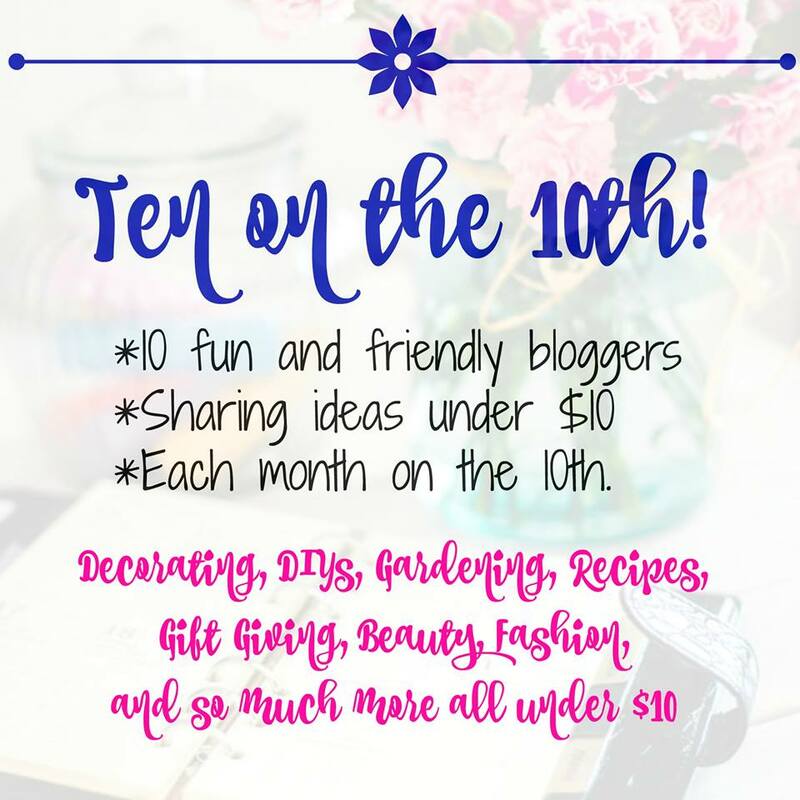 For more spring inspiration, be sure to check out the posts below from the Ten on the 10th Team. Oh, and don’t forget to check out Cottage at the Crossroads’ store on Amazon! I’m hand picking lots of spring decor items daily. 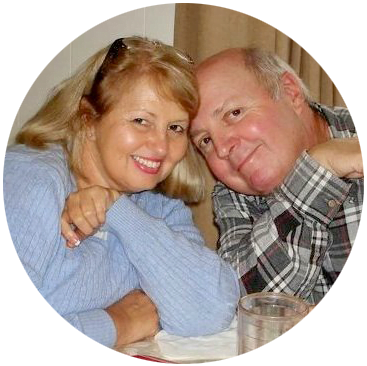 Just love it Jane…and i cannot imagine how beautiful your Spring porch is going to be! This is such a beautiful topiary Jane. 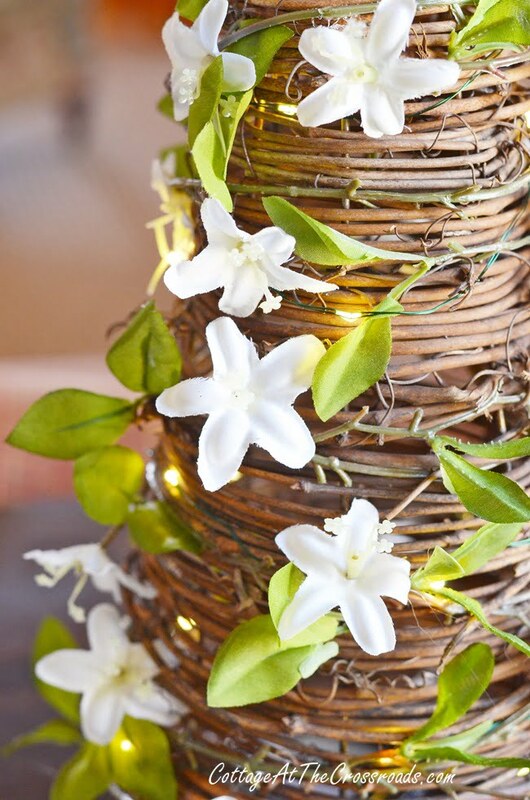 Love how you’ve added the pretty flowers and those lights really add so much dimension to the pretty. 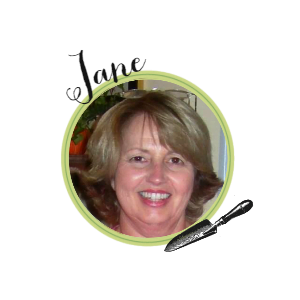 Jane- I love this idea. I need to make a spring decorating trip to Hobby Lobby with coupons! I love this Jane! 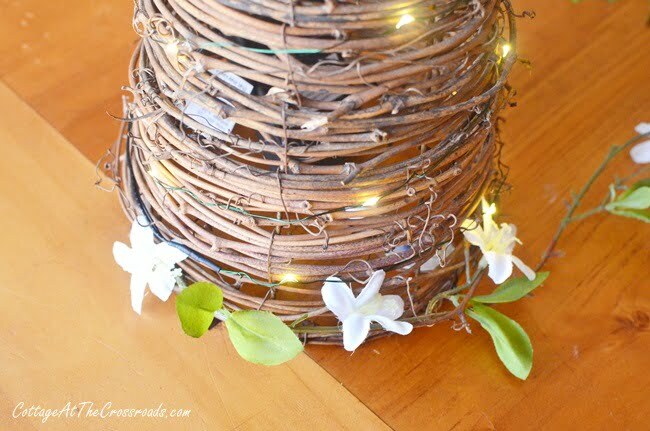 The fairy lights are a super sweet touch, especially since it still gets dark so early at this time of the year. I love how fresh the green and white look on that cone. Now, of course, I want one, too. Better get those coupons ready! I love this, I love everything grapevine. I’m headed over to HL this morning. I wonder if I might find one of the cones hanging around. What a great idea. This is adorable Jane! I even have one of those grapevine cones in the garage, never thought of using it for spring! LOVE this! 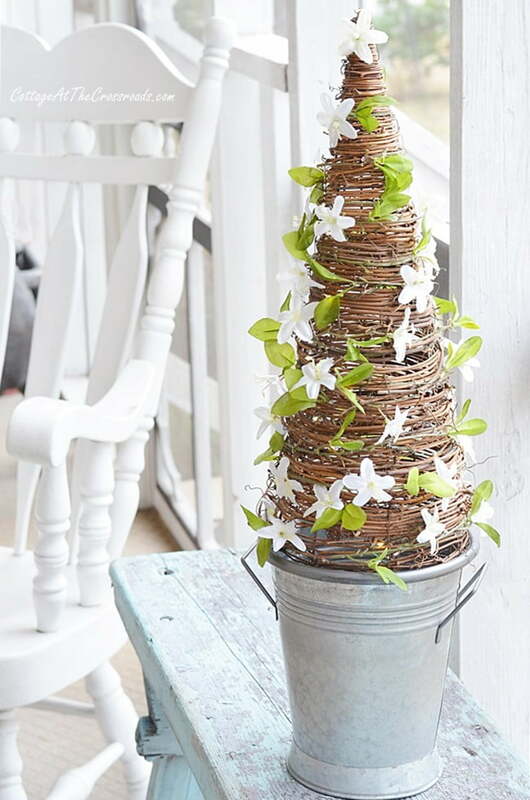 You have officially made me want to get my Spring decorating on!